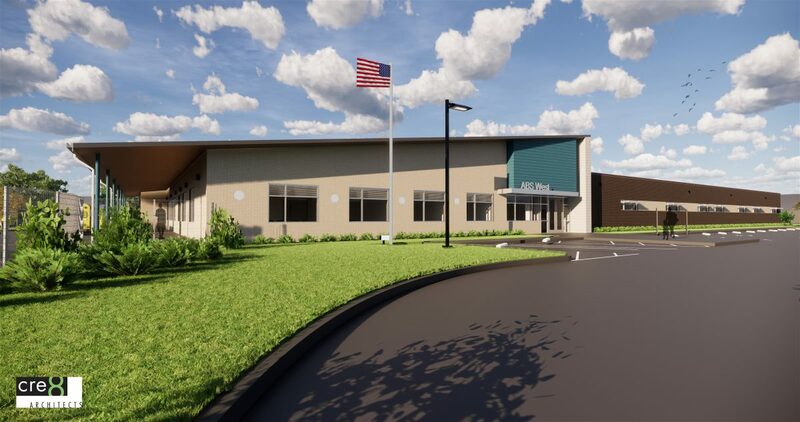 Harris County Department of Education breaks ground on a 47,970-square foot school which will reside on 6.5 acres in southwest Houston. Academic and Behavior School West (AB West) is being relocated and serves students with intellectual or developmental disabilities and challenging behaviors throughout the greater Houston region. The groundbreaking is set for Wednesday, April 3, from 11 a.m.-1 p.m. at 12772 Medfield Drive, Houston, TX 77082. The school borders S. Dairy Ashford and Westpark Tollway. AB West is one of two HCDE schools in west and east Houston which provides special education services on a contractual basis to high-need students in area school districts. Features of the school include a low, student-to-instructor ratio; small classes; and individualized learning plans. HCDE Board of Trustees will join Superintendent James Colbert Jr. and other HCDE administrators at the ceremony, along with area superintendents, including special guest Alief ISD Superintendent H.D. Chambers (district where the school resides). Parents and community members are also attending. Special features of the school include: 28 classrooms serve to provide small classrooms for special population of 110 students (capacity 150); gated outdoor walking trail, courtyard with outdoor basketball court; domestic lab for life skills students; elevated flood plan with added retention and emergency generator to serve high health-risk students; and ballistic-rated, glass walls in lobby with strict security system. Media inquiries may be made to HCDE Communications. Contact Carol Vaughn, 281-660-9205, cvaughn@hcde-texas.org or Danielle Clark, (970) 682-9391, dclark@hcde-texas.org .